Dogs are man's best friends; they share many of our emotions and can experience anxiety just like us. It is normal for a dog to become nervous when life changes occur. So instead of punishing innocent behavior, seek out help to relieve their stress. When these behaviors happen, don't misjudge the situation and punish your dog. Punishment will not address the root cause of the problem. In fact, pain will only increase their levels of stress leading to more unwanted behavior. First, always consult a veterinarian before administering medication. Giving your dog Benadryl is one popular option for relief. It's a light, over-the-counter antihistamine with sedative properties. Your pet can take the medicine in different ways. You can put the tablet in small pieces of food, or the liquid gel capsules can be mixed into a treat. As they say, you are what you eat, and a healthy diet leads to healthy behavior. Hyperactive dogs need a high protein, low carbohydrate diet. Therefore, it's in your best interest to monitor what you feed your pets (or what they randomly decide to eat). Discuss the best dietary options with your vet. Physical exercise is a great way to soothe your dog's anxiety. Schedule a daily routine for your dog to be active. If it's too cold for outdoor fun, experiment with indoor exercises and stretches. Also, make it enjoyable. Play games to associate positive emotions with typically stressful activities like car rides. Who said massages were just for people? Massaging is a great calming technique for an anxious dog. Not only does it heal the body, but also the mind. Connect with a certified canine massage therapist in your area. They can teach you multiple ways to relax your pet through touch. 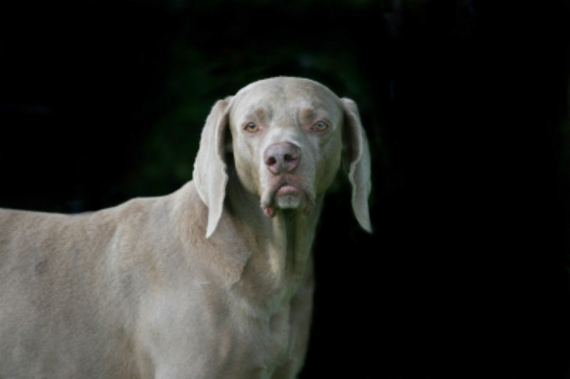 Dogs can sometimes get flustered, especially if their daily routine changes. Reduce stress by creating a predictable environment with fixed activities. It's important to set expectations for your dog. In return, both owner and pet will be happy. Dogs are man's best friends; they share many of our emotions and can experience anxiety just like us. It is normal for a dog to become nervous when life changes occur. So instead of punishing innocent behavior, seek out help to relieve their stress. In the end, everyone will be grateful.